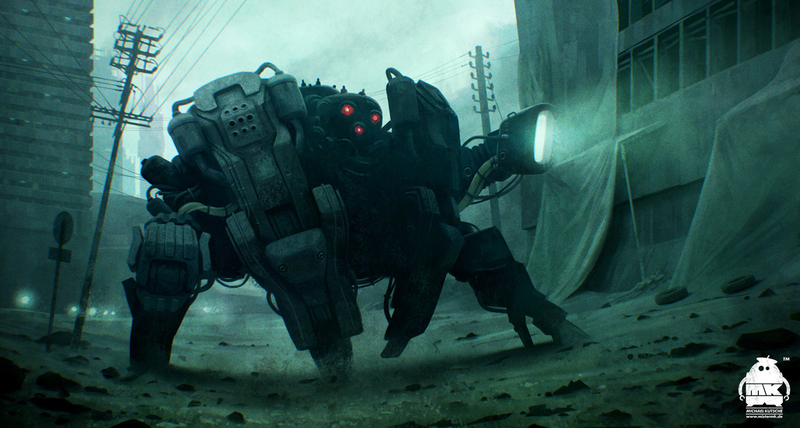 Personal work, patrolling robot drone. Completely done in Painter and Photoshop. Started with the lasso tool, for playing with silhouettes.